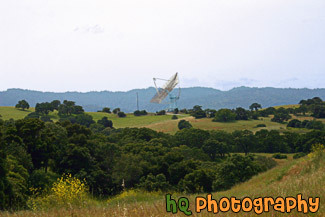 A scenic picture taken of The Dish located in the Stanford Foothills. The Dish is a popular hike for the locals. It is 4 mile walk round trip with paved road. It's great for runner and walkers. The first part of The Dish is an incline for about a quarter of a mile.